Meeting at the Taize Community in France, the Global Christian Forum Committee chose Dr. Casely Essamuah to serve in the central role of its Secretary. Essamuah will take up the position on 1 July 2018, following the retirement of the Rev. Dr. Larry Miller who has led the GCF for the last six years. Originally ordained in the Methodist Church in Ghana, Essamuah has worked for the last 13 years as Global Missions and Local Outreach Pastor of the Bay Area Community Church, Annapolis, Maryland. Essamuah describes himself as “evangelical and ecumenical.” Coming originally from Africa and now ministering in North America, he views himself as a “bridge-builder” between the churches in the global north and global south. 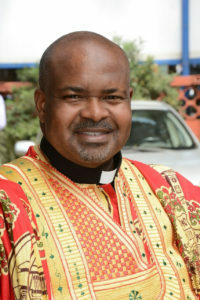 “In a time when the majority of the world’s Christians now live in the southern hemisphere, creating new tensions and challenges in the life of world Christianity, Dr. Casely Essamuah is uniquely equipped to serve the cause of unity in the global body of Christ in the role of Secretary of the Global Christian Forum,” said the Rev. Wes Granberg-Michaelson, co-chair of the search committee. The Global Christian Forum brings together leadership from all streams of world Christianity, including the full support of the four primary global Church bodies, namely, the World Council of Churches, the World Evangelical Alliance, the Pontifical Council for Church Unity (Catholic Church), and Pentecostal World Fellowship. Essamuah said his initial reaction to his appointment was one of “humility and surprise”. Essamuah will be presented as Secretary-elect to the third global gathering of the GCF, which occurs in Bogota, Colombia April 24-27, 2018.